The voice of solid sawn sawmills since 1962. About the Southeastern Lumber Manufacturers Association, Inc. In 1962, 46 lumber manufacturers from Alabama, Florida, Georgia, North Carolina and South Carolina gathered to discuss lack of organized representation of southeastern lumber manufacturers. This group agreed to form a new regional association to be named the Southeastern Lumber Manufacturers Association. During these years, SLMA was primarily concerned with transportation problems, particularly discriminatory rail rates on lumber, and grading and grade marking problems. SLMA has developed into a well-rounded association representing solid sawn lumber lumber manufacturers throughout the southeast. 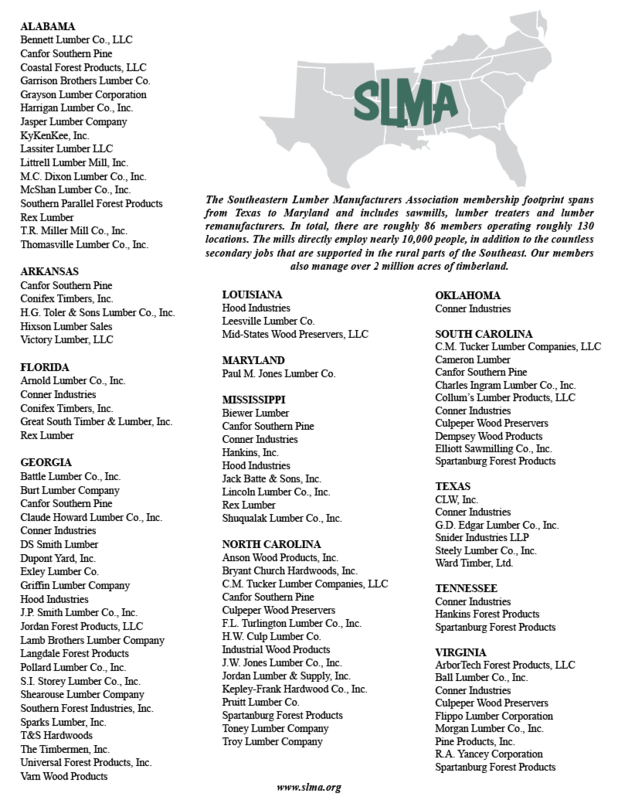 SLMA has grown to 17 states with the continued goal of helping perpetuate these businesses - businesses that are the essence of many communities throughout the southeast. 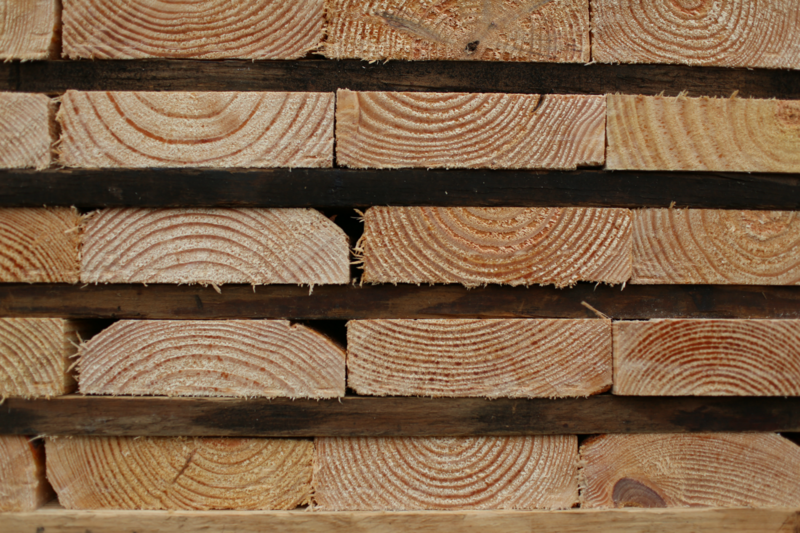 SLMA continues to provide a unique service to southeastern solid sawn lumber manufacturers regardless of company size or species manufactured. With an emphasis on government affairs, marketing and management and operational issues, the staff and leadership of SLMA develop programs for the needs of the southeastern solid sawn lumber manufacturer.